Do you wish that your sales people were better at closing? Or that their sales forecasts were more accurate? Are you frustrated that apparently well-qualified opportunities end up with the prospect deciding to do nothing? If so, you’re not alone. I hear these complaints all the time. These sound like classic “bottom of funnel” challenges. But when I take a closer look at many of these situations, more often than not the real problem lies elsewhere - not at the bottom of the funnel, but at the top. When sales people repeatedly struggle to close opportunities, the issue often lies with how they started the sale, and not with how they are trying to close it. Don’t get me wrong. Sales people need to be able to close. It’s an important skill - but it’s not enough, and no amount of closing skill can compensate for the failure to qualify the opportunity accurately, or for the inability to influence the buying decision process from an early stage in the cycle. Losing to “no decision” is particularly galling. Being defeated by the status quo is just as unproductive as being defeated by a conventional competitor. Inertia is just as powerful an enemy as the organisation you’re wrestling with for market share. It’s easy to assume that you’re on the right track if you are engaged with a helpful, supportive sponsor. But unless your sponsor has the power, authority and respect necessary to successfully catalyse change within their organisation, chances are the decision will be to “do nothing”. If your sales organisation embraces this discipline, you’ll probably find that a lot more deals drop out early in the sales cycle. The total value of your pipeline may even seem to go down. But your revenue potential will have risen, perhaps dramatically. Well-qualified, well-managed opportunities will close naturally, and at a predictable time. 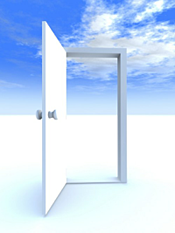 Note: this blog was orginally published under the title of "4 Keys to Open the Door to More B2B Sales" on the Salesforce.com blogsite.